Orders of protection are powerful legal tools that can be used to restrict an accused’s movements or ability to contact an alleged victim of abuse in person or by phone, letter or any other means of communication. The desire to stop domestic violence has meant that many of the protective orders that Utah courts issue each year are either unreasonably restrictive or should never have been issued at all. If you have been charged with violating a protective order or any other type of domestic violence-related offense, contact the offices of Greg S. Law, as soon as possible and schedule a free initial consultation with an experienced Salt Lake City protective order violations attorney. Unfortunately, violating the terms of a protective order is a crime that carries significant penalties. For instance, a first violation of a restraining order is a class A misdemeanor. A second violation of a protective order is a third-degree felony. In addition to jail time, a person convicted of violating a protective order may face additional penalties, including court-ordered counseling, probation and court fines. We handle all kinds of Davis County harassment charges, we know that many alleged restraining order violations are questionable at best. In many instances, in fact, the person accused of a protective order violation simply didn’t understand what the restrictions were and meant no harm to anyone. There have also been many other cases where our clients were deliberately manipulated into violating protective orders by their alleged victims. No matter how reasonable or justified your excuse actually is, however, remember that there is no guarantee a judge or prosecutor will believe you or even listen to what you have to say. As our client, your defense will start with a thorough and independent investigation into the events leading up to your arrest. We will not just rely on the police reports, and we will not concede anything to the prosecution without a fight. We will aggressively defend your rights throughout. This is how we’ve earned our reputation and how we’ve been able to achieve outstanding results in even the toughest cases. Protect Your Future. Call Us Today. Call Greg S. Law, at 801-261-6228 local or 888-784-3554 toll free. Our law offices are located in the Salt Lake City area but our lawyers represent clients throughout the state of Utah. 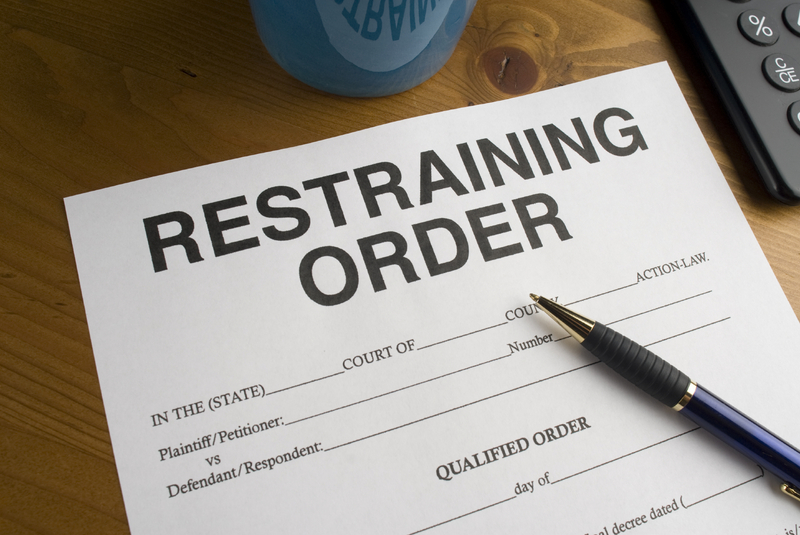 To schedule a free consultation with a Utah restraining orders attorney at our firm, call either of the two numbers listed above or contact us with a brief e-mail message.